Sony announces launch of new projectors | What Hi-Fi? 4K ultra-short throw laser light source VPL-GTZ1 among company's new products expected to go on sale "later this year"
Sony has announced the launch of a range of new projectors, which are expected to go on sale "later this year" and includes the 4K ultra-short throw laser light source VPL-GTZ1 model. The new VPL-GTZ1 incorporates imaging technology that combines the Japanese manufacturer's 4K SXRD with a laser phosphor light source to generate 2,000 lumens colour brightness. It can throw high-resolution images up to 147in (3.7m) diagonal and zoom down to 66in (1.7m) when projecting in 17:9 format, while a low fan noise is designed to ensure quiet operation. 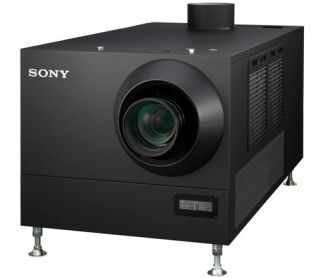 With the necessary third party software, Sony says the VPL-GTZ1 (above) can blend multiple projectors and is able to offer up to 20,000 hours of maintenance-free use without needing to change the lamp. Sony has another 4K projector due to launch, with the SRX-T423 (top of page) coming to the market in September and delivering 23,000 centre lumens and up to 30,000 when in high brightness mode. The device's dual projection system boasts a 4K resolution of 4096 x 2160, with 40,000 lumens of 3D brightness. It offers a contrast ratio of 3,000:1 and has a vertical tilt angle of +/- 30 degrees. And that's not all, because Sony also has the new VPL-FHZ700L (above) and two C-Series projectors coming to the market in September and November respectively. The VPL-FHZ700L laser projector sports a WUXGA resolution of 1920 x 1200; instant on/off; tilt-angle-free design; edge blending; and more, delivering 7,000 lumens with 3LCD brightness. Meanwhile, the VPL-CH355 and VPL-CH375 offer the same resolution as the FHZ700L, while you will also find HDBaseT and Optional Wireless for increased connectivity options.